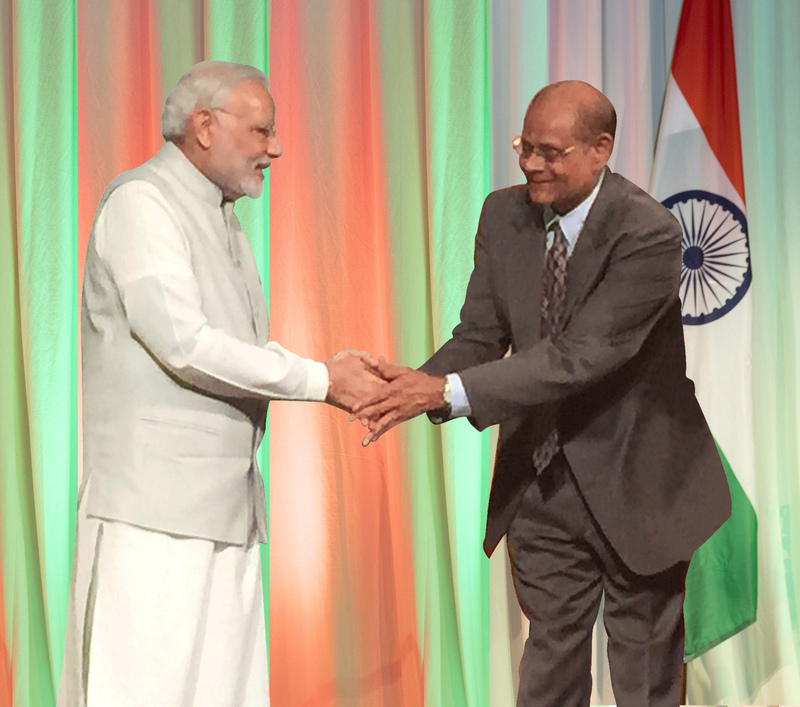 NewzSocial was selected as the Social Media Marketing partner for Indian Prime Minister Narendra Modi’s visit to the Silicon Valley in September 2015. For me as the founder/CEO, this event was a milestone in my personal journey. When I came to the United States many decades ago, India was regarded as a third world country and the term du jour was ‘brain drain’ to describe the exodus of bright minds that sought their career and fortune in other lands. PM Modi refers to this now as the ‘brain deposit’ to describe how the Indian diaspora has bridged the economic disparity between the two countries. India is now the world’s fastest growing economy and is expected to be the third largest by 2030. A key part of PM Modi’s plan for India’s continued growth and contribution to global prosperity is the “Digital India” initiative. One component of this is leveraging the exponential power for connection and communication inherent in social media technology. “Social media changed my thought process and connected me to the rest of the world”. 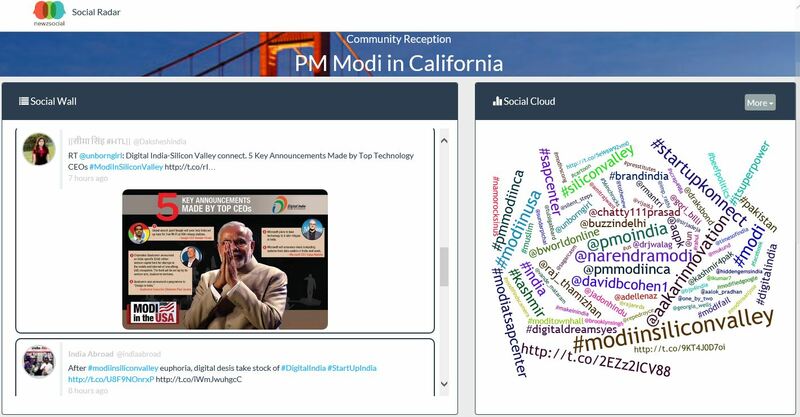 Using NewzSocial, the organizing team for PM Modi’s California visit was able to harness hundreds of supporters as social ambassadors to spread the word and reach a wider audience. The challenge was how best to manage this process, keeping a consistent message, respecting individual privacy and creating engagement across social timelines. Done right, the results from the social advocacy campaign were amazing. The marketing campaigns spanned a short period of four weeks during which hundreds of volunteers signed up as social ambassadors. Before using NewzSocial, the event’s Facebook page had an audience reach of 87,000 users. The views from posts on the page were 269,000 and the clicks were 11,500. The views for videos was 1,800. After four weeks of deploying NewzSocial powered social media campaigns, audience reach grew to 1.1M, views reached 3.88M, 500,000 clicks were generated and video views increased to 291,500. The NewzSocial campaign-based tweets drove 60% of the impressions and 76% of the engagement on the event’s Twitter handles. In addition, NewzSocial accounted for 83% of the Re-tweet activity. 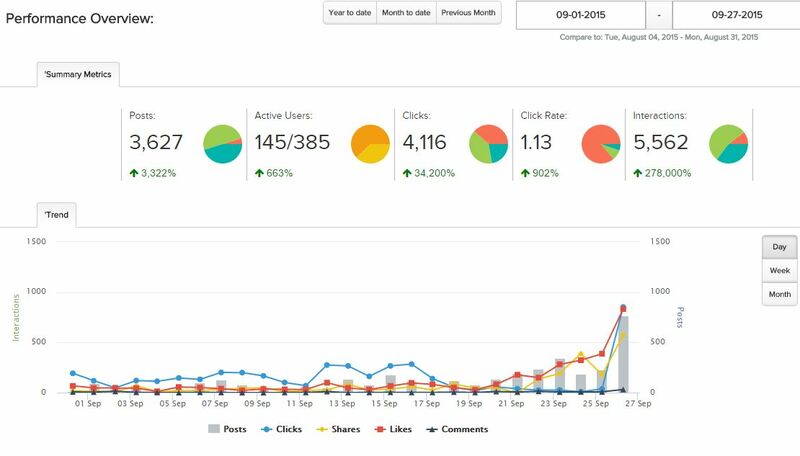 The snapshot from the Analytics dashboard below shows the strategy of engaging the audience by making posts with call to action Links, then encouraging Shares of videos and photos and then attracting the Likes. A separate technology created by NewzSocial, the Social Radar, provided a dashboard view of all the social media buzz surrounding the event, including a live overview and analysis of trending keyword topics and twitter handles connected with Prime Minister Modi’s visit. “The magic of your fingers on the keyboard has given India a new identity. You are forcing the world to change”. This project gave the NewzSocial team a chance to apply Social Advocacy to make the event a grand success. For the members of the NewzSocial team who are part of the larger Indian Diaspora, this was also an opportunity to give back. Most importantly, we are all proud of playing a part in leveraging social media to make ours a truly connected world.